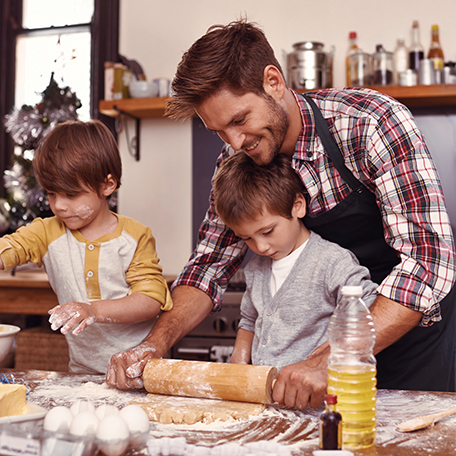 (Family Features) While the typical Father’s Day gifts generally get the job done – think golf clubs, fishing tackle or grilling equipment – don’t forget about the dad who enjoys spending time making magic in the kitchen. When pasta night comes around and dad is looking to put his personal touch on dinner, give him the ability to make his own authentic, fresh pasta from scratch with the 3-Piece Pasta Roller and Cutter Attachment Set powered by the KitchenAid® Stand Mixer. The high-quality stainless steel set includes a pasta roller, spaghetti cutter, and fettuccine cutter; just what dad needs to bring something fresh and new to the table.